The Nationals beat the Cubs 2-1 yesterday, meaning that they are currently UNDEFEATED! Pretty much the whole team (including The Shark) was quiet offensively except for Ian "Daddy" Desmond, who had three hits including the go-ahead run in the 9th. With Drew "Tinkerbell" Storen on DL, new Nat Brad "Doesn't have a nickname yet" Lidge came in to get the save. 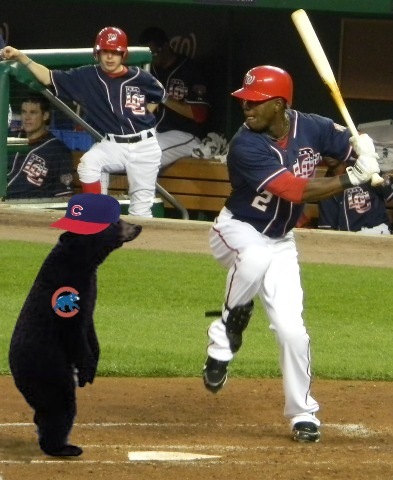 The Nats play the Cubs two more times this weekend and The Shark and company hope to to beat the baby bears with their bats. Literally. Why is the bat boy smiling at this? 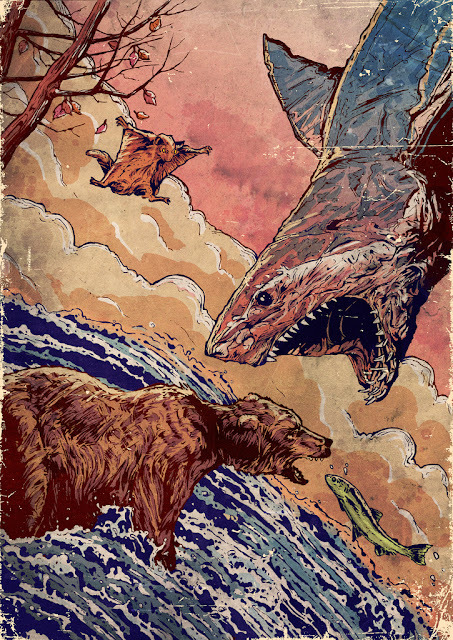 Fish < Bear < Shark < Flying Squirrel?